The last PPC campaign I analysed in the ‘Analyse A Real PPC Campaign’ series was from DWM Mortgages. The search advert had some good elements to it. However, there was no call to action to encourage the web user into a click. On top of this, the landing page was not very well designed, with a poor picture to highlight the joys of getting a first home. Electronics are generally looked at to buy online. With this, here is an analysis of a PPC campaign from the giant themselves: Amazon. Return on investment (ROI) – If Amazon is making money from this campaign, then it makes sense to continually run it. Competition – It is clear that Amazon could be doing this because they rank organically second for the search term against Currys. When this is the case, in order to ‘leap frog’ Currys, they would either have to improve their organic ranking or pay for a PPC campaign to run. Amazon is a website which wants the web user to spend as much time on it. 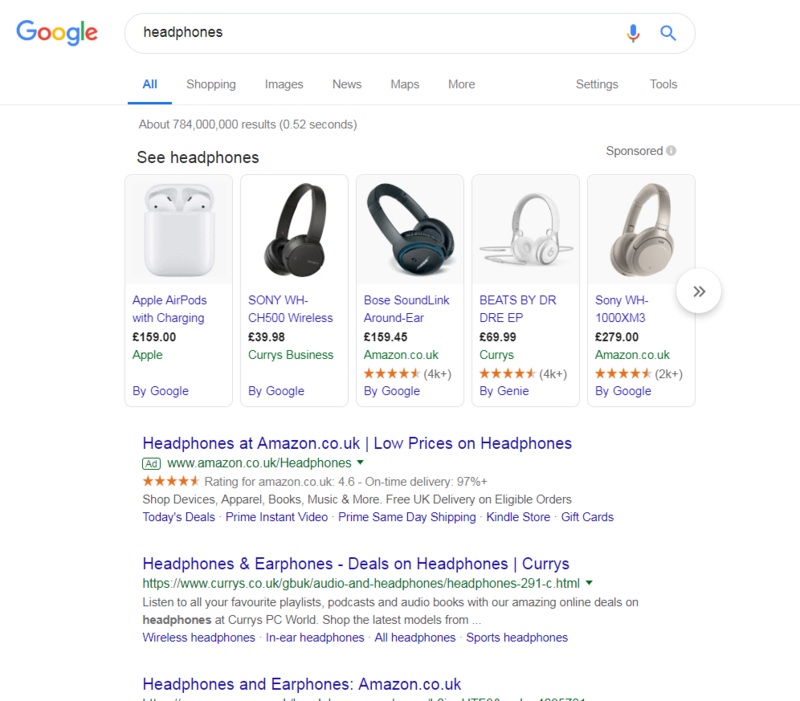 Even if the web user was not interested in headphones, there is a possibility the web user could buy others things on Amazon, improving the profitability of the campaign. Looking at the advert itself, it is a very ‘standard’ Amazon advert. This is to make clear to the web user that they know exactly what to expect from clicking onto the advert (other search adverts of Amazon will be very similar in style and structure). The addition of the ratings help to make Amazon look a good place to shop, whilst the site link extensions will work to provide more areas of the advert to click, increasing the CTR.